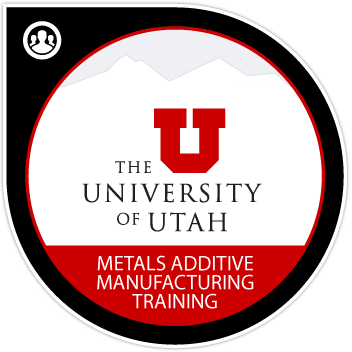 Those who are awarded this badge understand fundamental concepts of metals additive manufacturing (MAM) and have earned .8 CEUs, or 8 PDUs. Earners have demonstrated an understanding of additive manufacturing terminology, definitions, equipment types and processes, planning and designing with a systems-level perspective, and benefits and challenges associated with adopting MAM. They can identify and anticipate common reasons for successful and failed MAM implementations.